There are many different adhesive options that will provide long and short term wear. Determining which adhesive will fit your application is where we come in. We offer numerous solutions for you skin contact applications. Contact us today for more information or to request a sample! Download our chart now to see the full chart! P-DERM® and Continuous Glucose Monitoring… How We Can Help! A Continuous Glucose Monitoring System (CGM) will monitor blood sugar (glucose) levels continuously in real-time throughout the day and night. A tiny electrode called a glucose sensor is inserted under the skin to measure the glucose levels in the tissue fluid. It is connected to a transmitter that can send the information wirelessly to a monitoring device. This makes it easy to determine whether or not the glucose levels are too high or too low. Click here to download our CGM brochure today! Contact us today to request a sample or for more information! Polymer Science, Inc. has all of your Wireless Charging Needs! Although wireless charging seems like a new technological experience, there are hundreds of mobile devices that utilize wireless charging on the market today. Wireless charging technology uses an electromagnetic field and inductive coupling to send energy from one source to another. Polymer Science, Inc. offers a wide variety of EMI Shielding and Grounding solutions ranging from sputtered films to fabric, foam and foil tapes. Click here to download our wireless charging brochure! Contact us today to request a sample or for more information. Polymer Science, Inc. Released Sputtered Films! Polymer Science, Inc. is excited to release our newest product in our P-SHIELD® product line. Sputtered films are films, either conductive or non-conductive, created by a variety of vacuum deposition methods coating pure materials onto a range of substrates. Sputtered films are used in a variety of military, medical, aerospace, automotive and electronics applications. Click here to download the Sputtered Films brochure! Visit us at MD&M West 2018! VISIT US AT BOOTH 2147! Polymer Science, Inc. will be exhibiting at MD&M West in Anaheim, CA on February 6-8. Polymer Science, Inc. manufactures adhesives and coated materials for use in the medical device and wound care industries. Our P-DERM® adhesive materials include acrylics, hydrogels and silicone gel adhesives. 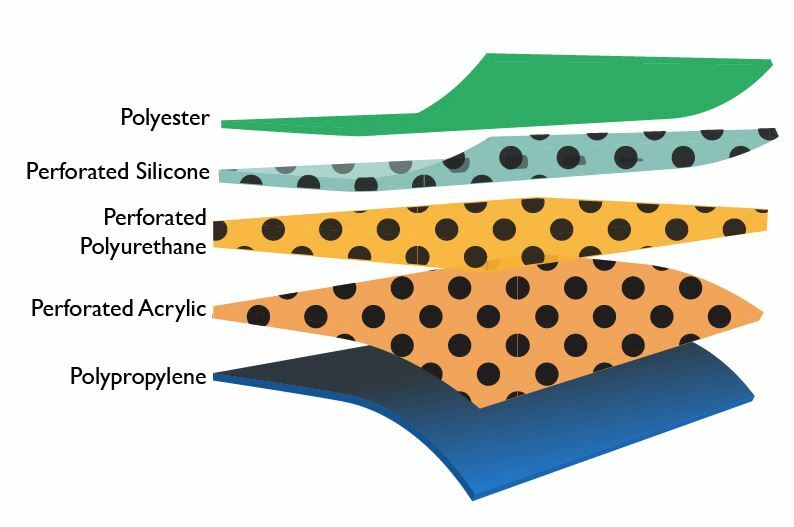 Polymer Science, Inc. also offers hydrophilic coatings, as well as, silicone and polyurethane elastomers for a variety of skin-contact applications. We will be highlighting 2 new products at this year’s show. Our PS-2191 was specifically designed for use in the medical wearable device and Negative Pressure Wound Therapy markets. PS-2191 is a 0.17mm thickness perforated ultra high adhesion silicone gel and acrylic trilaminate. PS-2191 is hypoallergenic, offers longer wear times (>10 day), supports atraumatic removal from the skin and promotes good anchorage to prevent channeling during negative pressure wound therapy. We are also introducing PS-2188 which is a hydrophilic skin contact silicone gel adhesive that has been coated onto a beige nonwoven polyurethane carrier. PS-2188 was specifically designed to improve wear characteristics where flexibility and modest resistance to shear are desired, while still offering hydrophilic properties to enhance moisture management beneath the dressing. Get Your Official Strategies in Light Ticket Here! VISIT US AT BOOTH 817! Polymer Science, Inc. will be at Strategies in Light in Long Beach, CA on February 13-15. Polymer Science, Inc. offers two different product segments in the electronics industry. Our P-THERM® line of thermal interface materials offers solutions to electronic designs that require consistent thermal conductivity for the reliability and long service life of a component while our P-SHIELD materials are used in electronics assemblies to prevent or restrict electromagnetic interference. We will be showcasing 2 new products at this year’s show. Our PS-1993 is a flexible synthetic graphite film that has been cast onto a removable polyester carrier layer. PS-1993 exhibits excellent anisotropic control of heat to eliminate hot spots while providing electrical conductivity to aid in the EMI shielding of electronic devices. good thermal conductivity without the worry of flow from wax-based products or mess associated with thermal greases. The non-silicone coating is formulated to feel dry to the touch while offering natural tack to mitigate movement during assembly. Get your Complimentary Ticket here! Polymer Science, Inc. releases new P-SHIELD® EMI SHIELDING & GROUNDING MATERIALS Catalog! Polymer Science, Inc. is excited to release our new P-SHIELD® Shielding and Grounding Materials catalog! Polymer Science, Inc. offers a complete EMI shielding and grounding materials product line. P-SHIELD® EMI shielding materials are used to provide an electrically conductive seal for electronic device openings and housing covers to prevent or restrict electromagnetic interference. Polymer Science, Inc. offers solutions for the OLED market! Polymer Science, Inc. is pleased to offer numerous products for your OLED application solutions. We have products ranging from glass protection tapes to embossed tapes and foams. Our design team works quickly to provide the solutions you need, allowing your project to expeditiously move from conception to production. We take pride in our diverse team of engineers and technical staff, along with our state of the art equipment to provide the capabilities needed to develop a quality product consistent with your application requirements. Please click here to download our complete OLED brochure. Please contact us for more information or to request a sample! Polymer Science, Inc. is pleased to release three new products in our P-THERM ® Thermal Management Materials line. PS-1991, PS-1993 and PS-1994 are synthetic graphite films that have been cast onto a removable polyester carrier layer. These new products are excellent for anisotropic control of heat to eliminate hot spots while providing electrical conductivity to aid in EMI shielding of electronic devices. Please contact us today for a sample or more information! Consumer electronics companies are expanding into the healthcare wearable device market. From glucose monitors to exercise tracking devices, the healthcare wearables industry continues to develop innovative and new technologies. With the population aging, patient monitoring is becoming ever more important to get the earliest indications of a health problem that may arise. Wearable devices are designed to improve health and lifestyle choices by around the clock monitoring of calories, body temperature, vital signs and many more. 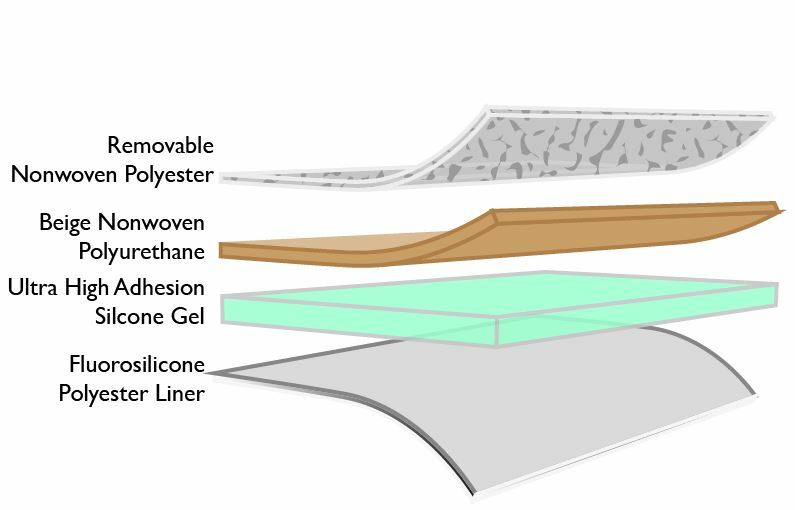 As always, Polymer Science, Inc. is committed to working closely with you during the design phase of your application. By offering a variety of coating techniques and configurations, our ability to customize your product distinguishes us from other silicone gel adhesive suppliers.